What is your greatest weakness in a HR, IT or Marketing interview? You are here: Anne Corder Recruitment > Blog > How to answer, ‘what is your greatest weakness?’ in a HR, IT or Marketing interview? As far as interview questions go, ‘what is your greatest weakness’ is a pretty scary one and one that nobody wants to answer. After all who wants to reveal their weaknesses to a potential employer. I’ll confess that there is almost an expectation that people will not be completely honest during this round of questions, but however you answer the question it will still be very revealing to the person doing the asking. There are two main routes to go down when answering this question. You can mention a weakness with regards to a skill that isn’t a major component of the job. And the classic answer of turning a negative into a positive. As a general guide, a really great way of answering this question is to demonstrate that you are actively working to improve whatever weakness you have flagged. Showing a potential employer that you are dedicated and committed to personal improvement is always a strength. 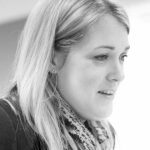 This blog is part of series of blogs, looking at ways to help you improve your interview technique by honing one question at a time and really considering what that question means, whilst considering the context of HR, IT and marketing. In this blog we drill down on answering the question, focussing specifically on how to highlight your experience, what you hope to get from the role and any soft skills that complement the position. In this blog we broke down the goals into short-term goals and long-term goals, focusing on each area of HR, IT and marketing. Our advice is to always tailor answers to the role itself, which is why we have broken the question down within each sector. Hard skills are not always as vital as interpersonal skills to HR roles, therefore make sure you think carefully about what skills the role requires. Think of a weakness such as ‘software packages require a bit of extra learning’ and explain why you struggle in those areas, as well as what you think would help, when it comes to overcoming them – always have a solution ready! Research the job role thoroughly and make sure you don’t inadvertently say a weakness that is crucial, unless of course you have already overcome it, which employers love to hear. Arguably interpersonal or soft skills are areas that aren’t traditionally associated with most IT roles, as hard skills are the most important part of an IT role. Therefore, it is best to lead with those as weaknesses. Think of key personality traits such as being sensitive or shy, many would say this was a weakness. But in your interview, you can use these traits to say why being sensitive means you can empathise with others in the workplace, which is good for teamwork. Shyness is also something that can be worked on by setting yourself small daily tasks to assert yourself. IT has its stereotypes, so it is refreshing for employees to see a candidate demonstrate with a weakness, how they’ve set about breaking that mould. It is best to avoid weaknesses that are useful for marketing roles, such as soft skills, for example creativity is a skill that employers will want to see. Think of a hard skill that you would like work on, it may not have a direct impact on the role, but it will demonstrate that you are keen to learn and develop. For example, learning how to be an excel wizard or picking up another language, these show a wider understanding of how roles can develop by being organised or merging into other geo-markets. Remember that weaknesses are cultural constructs and somewhere in the world right now, weakness isn’t even a weakness. Good Luck and don’t forget to thoroughly research the company!